The coolest and only Kayak Chandelier available. We sell this one completed and ready to hang any room. 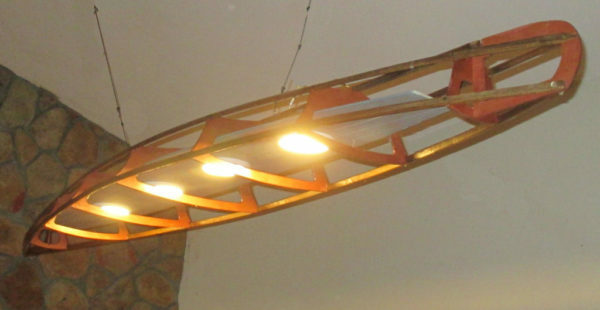 A real eye opener but also a very functional light. It’s a modified replica of the canvas covered Expedition Kleppers. 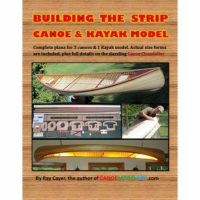 They all had an internal frame work that came apart so the Kayak could be carried into remote places and assembled. A great conversation piece and excellent light source, sure to be a winner. Shown here as completed light, but also sold as a kit. 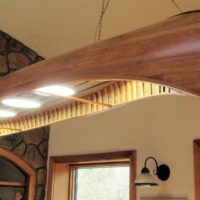 The completed kayak’s length can be adjusted to suit 1 foot either way. Ships in the plywood crate for protection. 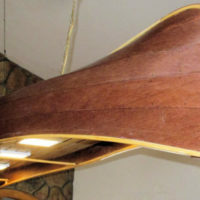 The 96″ Kayak Chandelier is made with a mahogany 1/4″ plywood forms with poplar stringers glued and screwed together. The deck is a CNC machined 1/4″ plywood.It also has the fabulous 4″ 3 in 1 LED Flat panel lights (square or round). 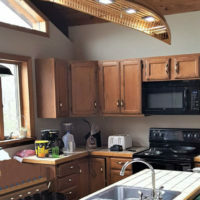 With four of them, you’ll get lots of light but they can be dimmed to a cozy glow. 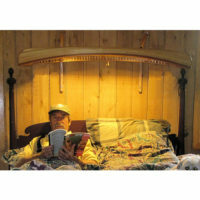 Larger 7″ lights are also available. Round or square, or choice. Optional 7″ Flat Panels available for extremely high ceilings. 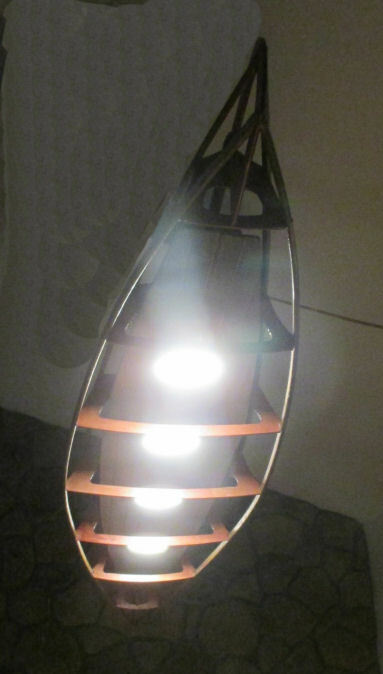 Very nice light for any paddling enthusiast. 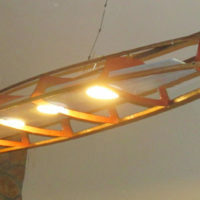 Click here for the product information on the Kayak Light kit. Ships in a large 1/4″ plywood crate to ensure safe delivery. Shipping is about $240 but accurate quotes will be given based on location.